In the above example, each individual wire is arranged around a central wire to form a 7-wire strand. Six of these strands are formed around a central core to make a wire rope. The rope is specified as 6×7 (6/1) – i.e. six strands each of seven wires. The specification of a wire rope type – including the number of wires per strand, the number of strands, and the lay of the rope – is documented using a commonly accepted coding system, consisting of a number of abbreviations. This is easily demonstrated with a simple example. 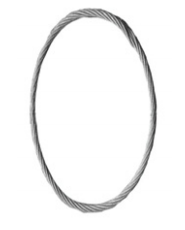 The rope shown in the figure “Wire rope construction” is designated thus: 6×19 FC RH OL FSWR. 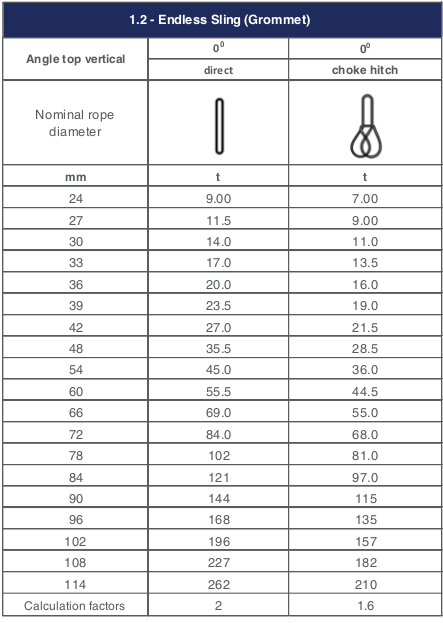 Each of the sections of the wire rope designation described above is variable. 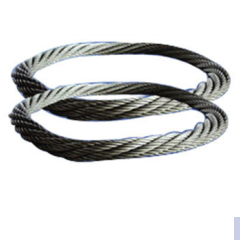 There are therefore a large number of combinations of wire rope that can be specified in this manner.